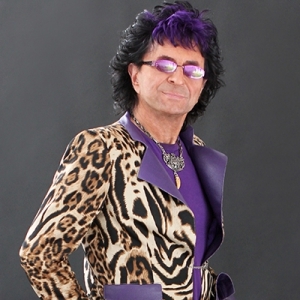 Over the length of JIM PETERIK'S spectacular Career, he has worked with, and developed lasting relationships with a long list of fellow (and remarkably talented) artists. Eighteen years ago, Jim had the idea to record an album and mount a subsequent concert celebrating these friendships and collaborations. Thus began "World Stage". The CD and Show were an immediate sensation, as Jim pushed his own envelope into different styles, and refining those with which he had already had significant success. Audiences were thrilled to see such a rich array of Stars together on one stage, playing their own hits and Jim's collaborations, interacting with Jim and the other guests in ways heretofore unseen. Multi-star "mashups" are common on awards shows seen on television, but these are often haphazard and simply a big "jam session". Not so with World Stage. Jim assembled a "house band" comprised of the top Musicians in the Midwest, if not the entire country, some with their own Grammy nominations, and scores of appearances on hit albums. Under Jim's guidance, they researched and dove deep into the repertoire of each guest, until they were keen and comfortable adapting and executing each nuance as if it was first nature. Jim's easy style as a bandleader held one ironclad edict: Honor The Song. And they certainly did ... and do. So began the tradition of World Stage. The show has been mounted in various cities throughout the US and Europe, each one different, each one spectacular. The show you will see this year will feature The Ides of March, David Pack, former lead singer with Ambrosia, Gary Wright, the Dreamweaver, Alex Ligertwood, former singer of Santana, Toby Hitchcock, Pride of Lions, Colin Peterik, Fever Breaks, Leslie Hunt and Riley Pettrone, The World Stage Band, and always the chance of a surprise guest. Chances are very good you will recognize every tune played tonight. The assembled cast always has fun onstage, and egos are banished. It's a party and YOU are really the special guests. Prepare to be amazed!